What inspires you to do something creative? 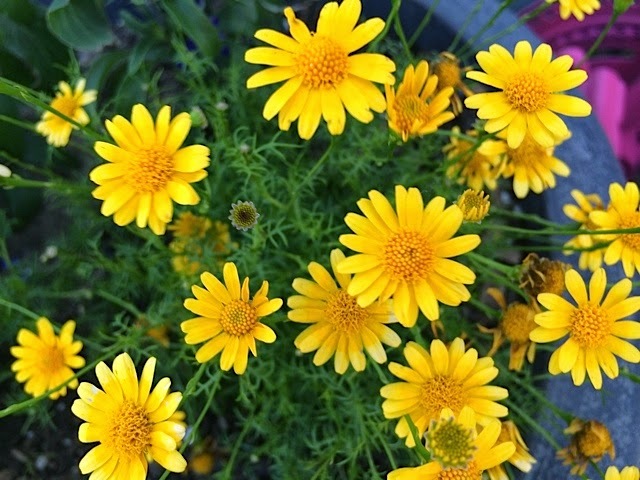 I get tons of inspiration from nature, especially flowers and sunsets! I love to be outside on summer evenings and watch the sun go down. So romantic! 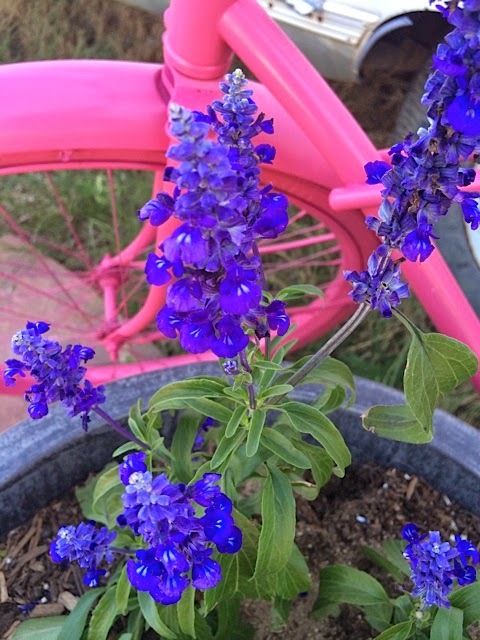 We painted the vintage bicycle bright pink and she looks great with the yellow and purple flowers we planted. 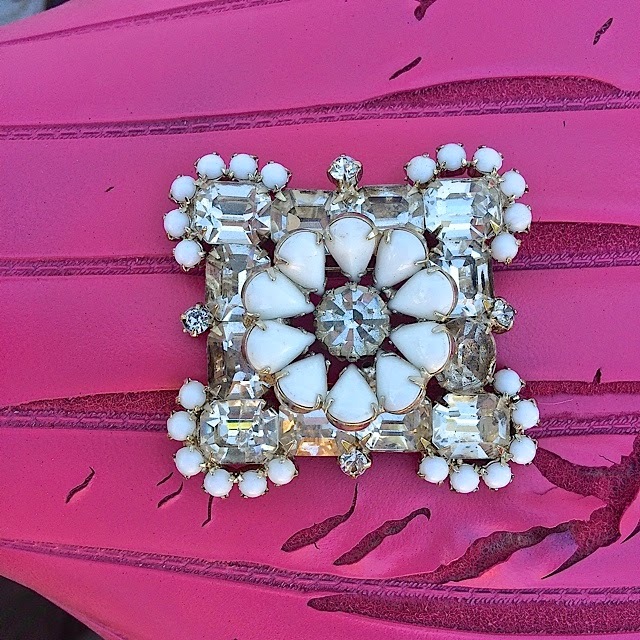 Vintage brooch that came from an estate sale in New York City! See that gorgeous purple and blue in the iridescent crystals? 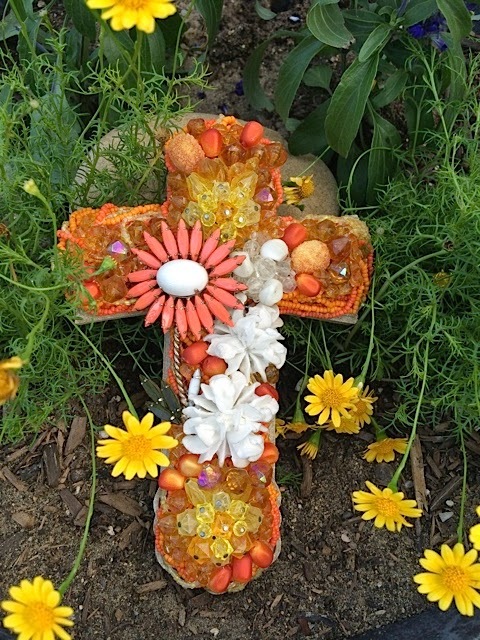 ...a Twice Loved Vintage cross made with vintage jewelry from a vintage market in Arizona. 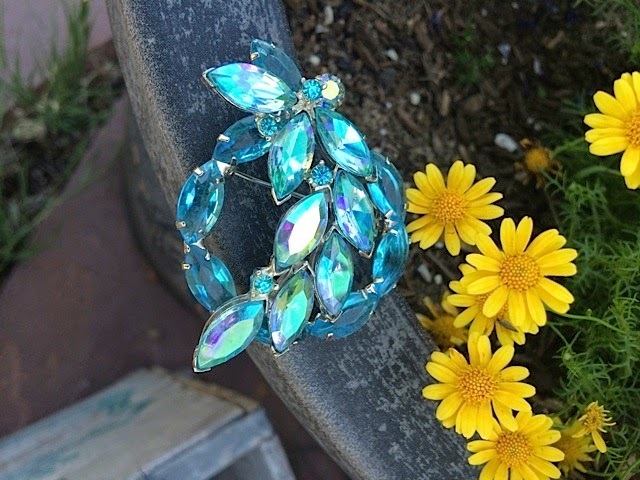 And this vintage brooch came from a vintage shop in Bozeman, Montana! Absolutely. Stunning. 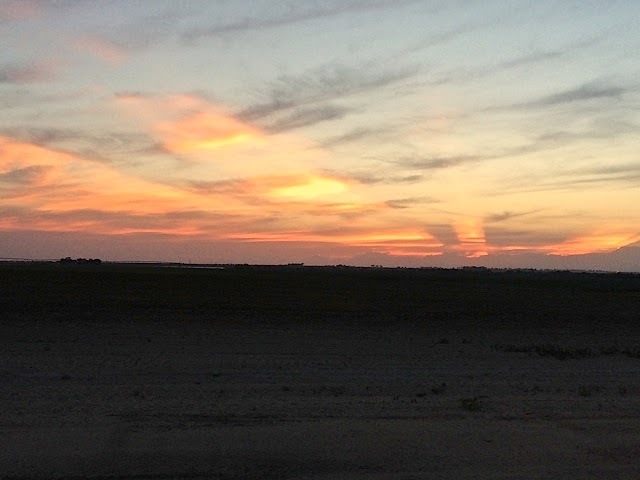 Colorado sunset over the plains...time to relax and enjoy!